Our pets often suffer from the same allergens as we do. The changing seasons, dust and mold don’t just make us rub our eyes and sneeze but also can affect our canine friends. However, even though the allergens may be similar, our dog’s symptoms present differently. Their allergies show up in different forms, but the skin reactions as listed below are a little more problematic. They are not only itchy but can lead to the secondary risk of bacterial or yeast-related skin infections that lead to sores and hair loss. Around 10% of dog reactions can be triggered by food ingredients as well. The commonest allergens for dogs are regular meat products, dairy, eggs, corn, soy, and wheat. Getting these out of your dog’s diet is the start to a less irritated pup. 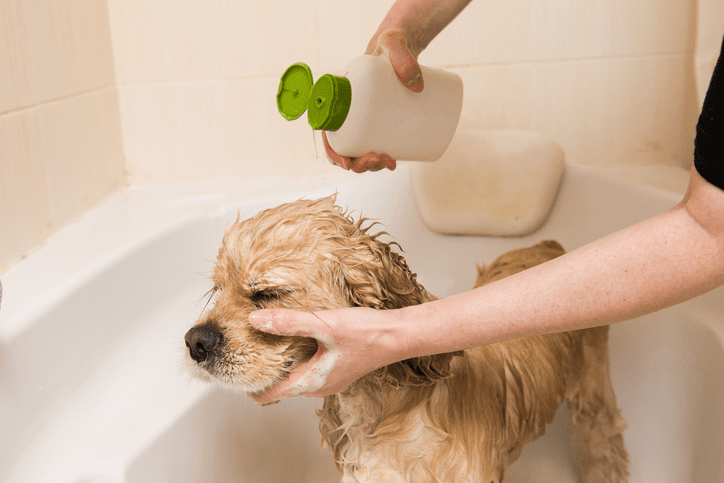 There are other ingredients will help calm the skin allergies that should be included as well when you are looking for a good product for your allergic dog. This can quickly be worked out through an elimination diet where you remove ingredients or snacks from the dog’s diet over a given time until the symptoms of common food allergens disappear. What Brand of Dog Food Is Best for Dogs with Skin Allergies? 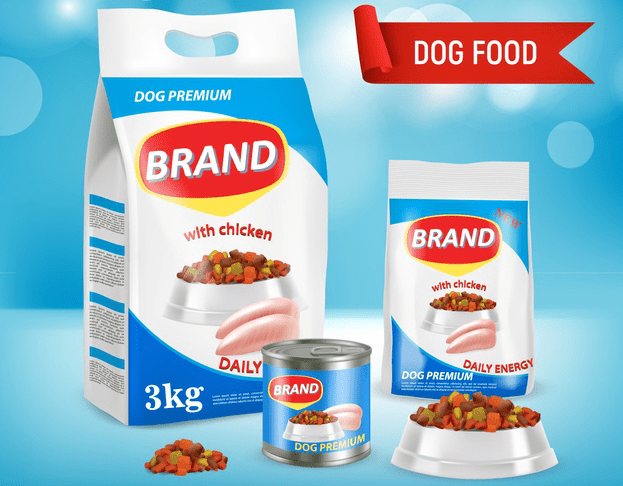 Whether you prefer to buy dry dog food, grain-free dog food, commercial dog food, wet food or freeze-dried food, there are lots of dog food products on the market that have been created for dogs with skin allergies. Before purchasing one and feeding it to your favorite up, find out what he needs by having your dog assessed by their veterinarian (this could also include an elimination diet). If it is determined that your pup has allergies, then talk to your vet about dog foods they think will lessen the skin irritation. They may suggest starting with a limited ingredient diet (LID) as it has a simple list of ingredients that lessen the chance of a food reaction. By eliminating potential allergens and looking for added ingredients to help your itchy friend you can then purchase food that benefits your pup. By looking for new sources of protein and carbohydrates you will be able to give your dog a menu that will hopefully alleviate their allergy driven skin reactions and improve your dog’s health. This product line of dog food is great if you are looking for a product to help in the alleviation of skin reactions in your dog. This is a high-protein, grain-free, freeze-dried and raw food product that is based on a limited ingredient diet. It offers one source of protein that is a little different than the usual ones that can trigger allergies. Lamb, rabbit or turkey combined with peas and tapioca are simplified in this food. Its blend of omega-3 & 6 fatty acids is essential to help heal dry and itchy skin. This holistic brand of dog food offers quality ingredients without adding unnecessary ones. Their “Simple” line of products offers LID diet food that will be great for your dog. Their four grain-free offerings are best when trying to heal aggravated skin. This particular recipe has a single protein source of salmon along with easily digestible carbohydrates without fillers and additives. The important benefit of pre and prebiotics will help digestion and with added flaxseed to help irritated and sore skin. This pet food formula is great for dogs with skin allergies as it is another Limited Ingredient Diet. They use scientific basics and nutritional information to create their recipes using high-quality meats, complex carbohydrates and fruits, and vegetables for an itch-relieving product. They use unusual proteins such as venison, bison, duck, and wagyu beef to further weed out allergens. This particular recipe highlights venison with sweet potato and flaxseed to create a LID product that will reduce skin irritation and begin healing those itchy spots. This ingredient is a little different than most due to a rather innovative ingredient. The avocado. This is a food that is full of high-quality meat protein, whole grains, antioxidants, vitamins, and minerals. The bonus for dogs with skin allergies is the avocado. While all the nutrients help work with the overactive immune system, the product is made to be rich in quality fats and oils with a balanced omega-3 & 6 fatty acid mix. The avocado which is packed with nearly 20 vitamins, minerals and phytonutrients work with your pup’s skin and coat to counteract the itch. An innovative product that can help your dog’s allergy affected the skin. 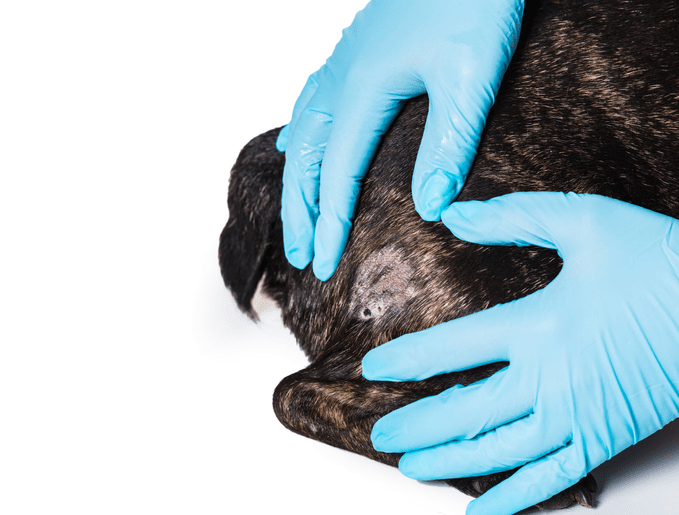 Skin allergies are hard on your dog, especially if they lead to secondary issues that threaten they’re well-being. Serious skin problems can multiply and affect their quality of life. Finding a food product that will alleviate their allergic reactions and begin to heal the damaged skin is crucial. You want to work with your dog’s veterinarian to find an allergy-friendly dog food that can offer your pup some relief from their skin allergies while improving their diet overall. Less itch means a happier and more content pooch.